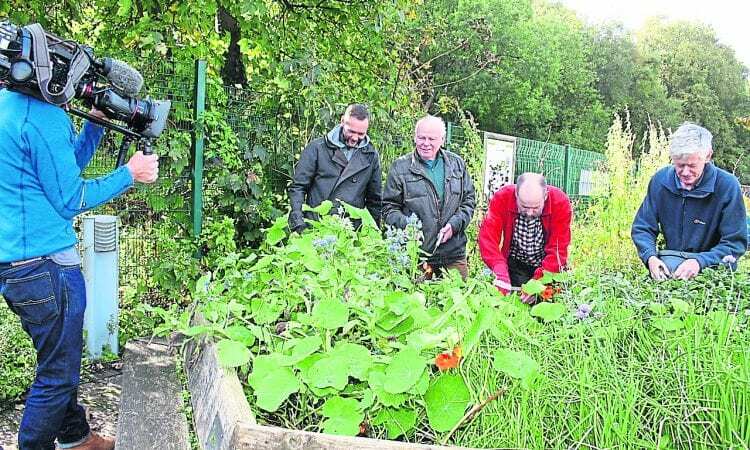 A COMMUNITY ‘linear larder’ garden along the banks of the Rochdale Canal was a runner-up in a new BBC One daytime TV series, Let’s Get a Good Thing Going, broadcast on Friday, December 22. 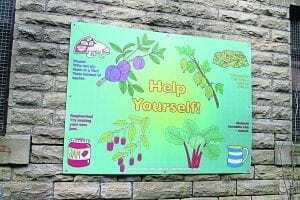 Incredible Edible Todmorden was one of four community groups bidding for funds in an episode based around Hebden Bridge, West Yorkshire. 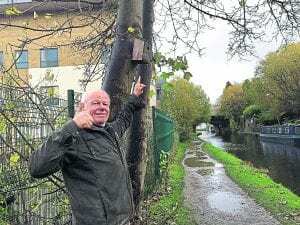 The pitch was eventually won by an environmental group, Slow the Flow Calderdale, formed after the devastating floods of Boxing Day 2015 to create more natural flood defences in the area. 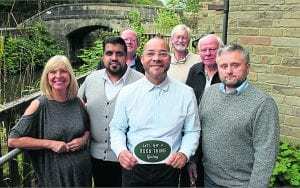 Jon Stopp, a volunteer waterway partner with the Canal & River Trust, (pictured above, second right, with TV presenter Kevin Duala, centre, and West Yorkshire community representatives), led the quest for more funds to install public benches, bird boxes and fruit trees along the canal towpath. And although not coming out top in the local community vote, all the projects were winners, with the experience resulting in a number of positive spin-offs.